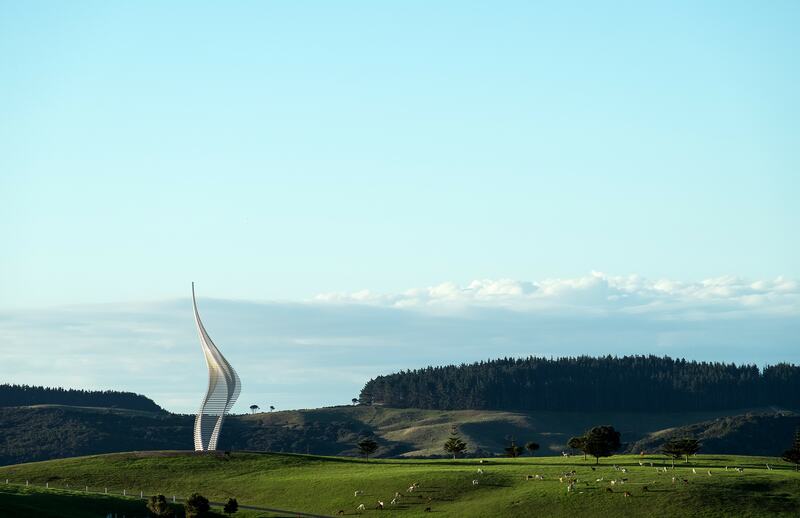 JACOB’S LADDER is a new sculpture by Gerry Judah for Gibbs Farm Sculpture Park, New Zealand. 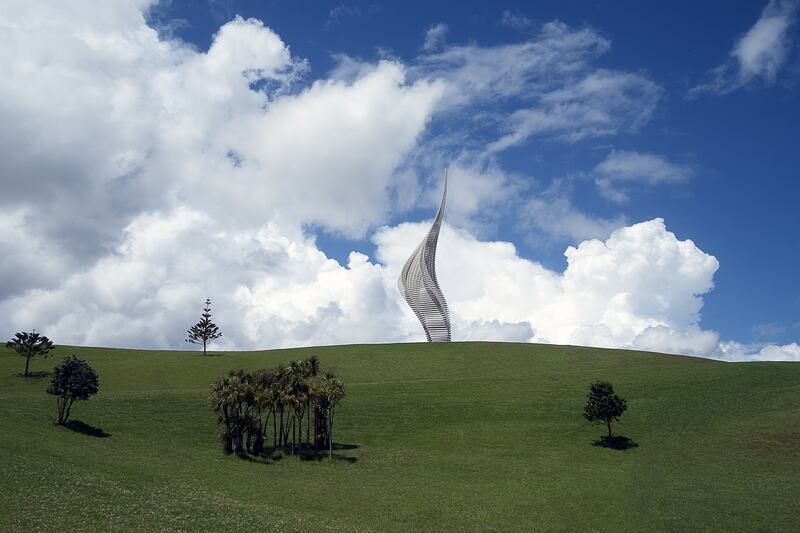 Gibbs Farm is a thousand-acre open-air sculpture park in Kaipara Harbour, near Auckland on the North Island of New Zealand. 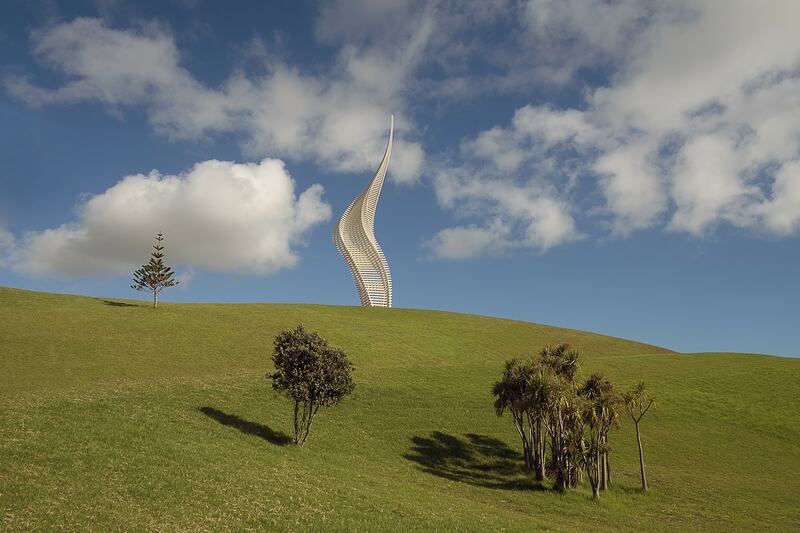 It features over thirty monumental sculptures from a roll-call of top international contemporary artists including Richard Serra, Anish Kapoor and Andy Goldsworthy. 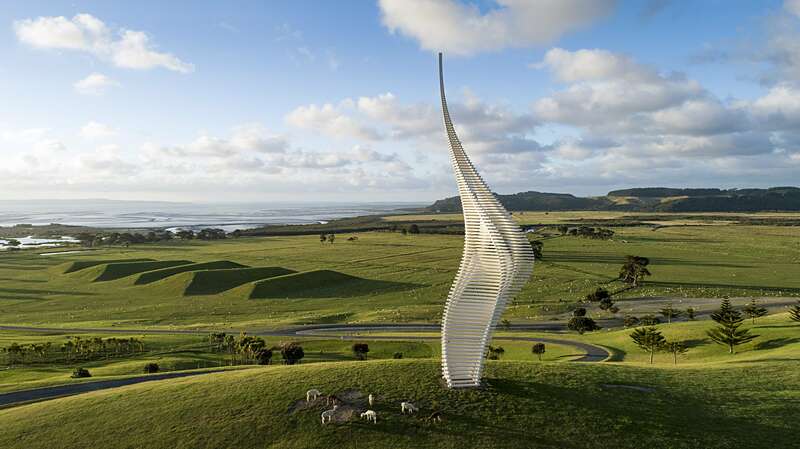 All works are commissioned by Alan Gibbs, a New Zealand businessman, entrepreneur and art collector who has been assembling the Gibbs Farm collection for twenty-six years. 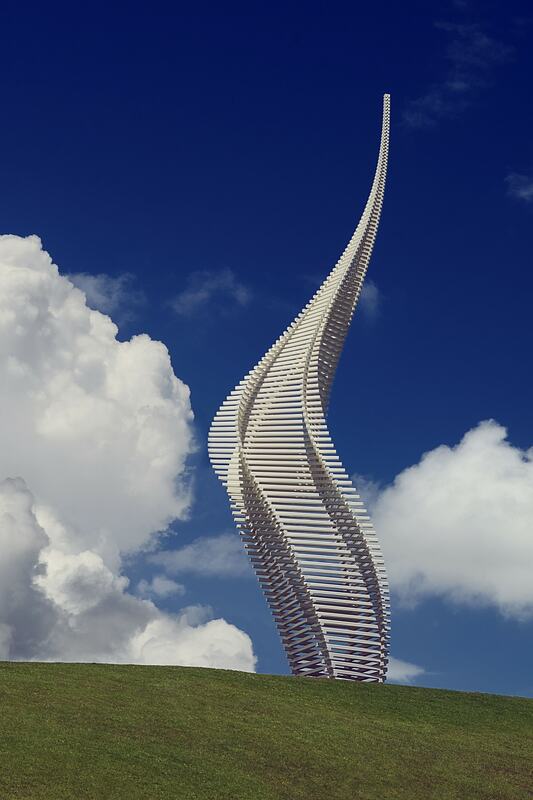 JACOB’S LADDER is 34 meters (112 feet) high and made out of square-sectioned steel tube weighing 46 tonnes. 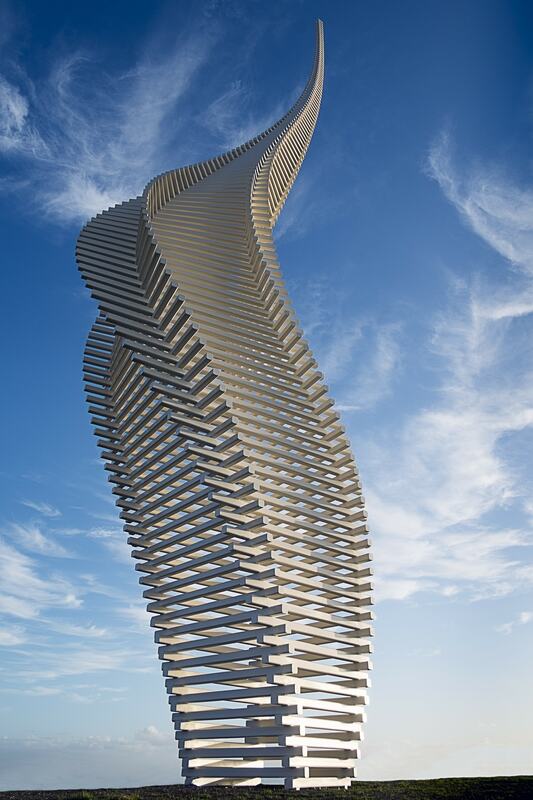 It is made from 480 lengths of steel, stacked one on top of each other. 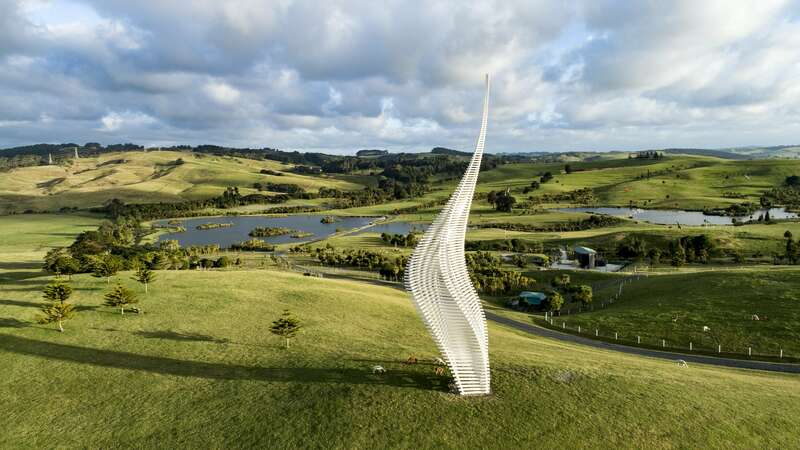 Each layer is slightly different in length and size, shifted and rotated relative to the layer below, ultimately producing the final gracefully curving shape – this despite the components themselves all being straight steel sections. 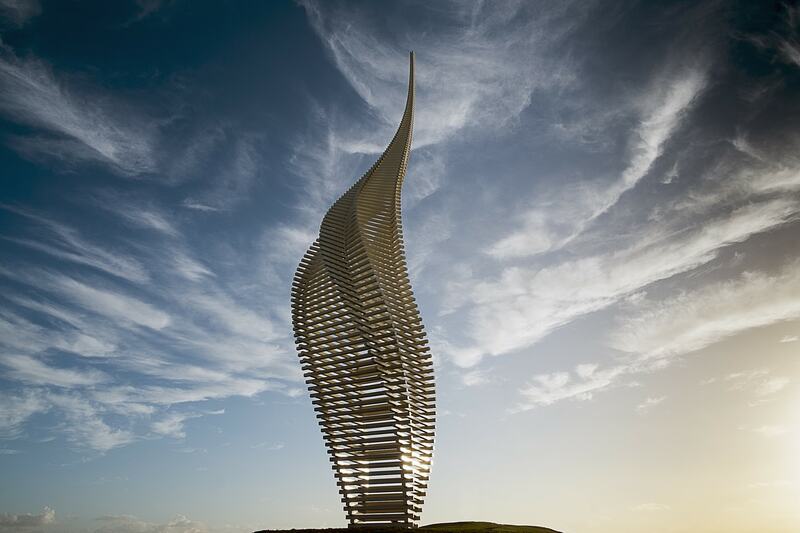 Gerry Judah is a British artist and designer whose work is exhibited in many locations including the Imperial War Museum, Saatchi Collection, India High Commission, St Paul’s Cathedral and the spectacular centrepiece sculptures for the annual Goodwood Festival of Speed.